Compare this with the image in the last post. 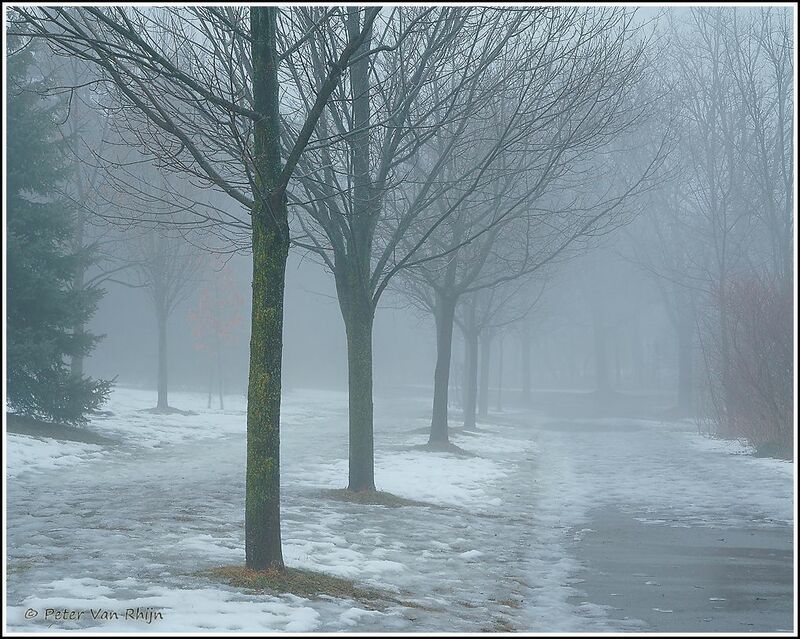 This image demonstrates an additional way - perspective - with which fog can greatly enhance the three dimensional "feel" of an image, even though paradoxically the fog prevents us from seeing the most distant trees. Reminiscent of the Dutch canals which I paddled as a teenager, this image was made along the bike path of the Humber River in Toronto. The Ingredient most helpful for this image, perspective, also belongs to the larger ingredient of Composition / Visual design. Sony @7r M2, Lens: FE 24-70mm F4 ZA OSS, at 70 mm, ISO 640, f 16, 1/200th sec., hand held. Rain.